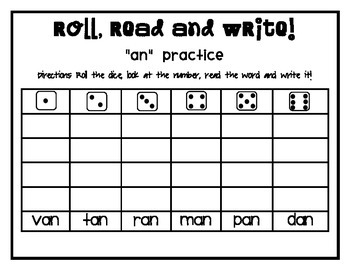 Help make learning and practicing words fun with this activity, "Roll, Read and Write!" This 80 page packet is FULL of words to help your little ones become fluent readers! !